The Public Information template was originally created to serve the disaster and emergency response GIS community. 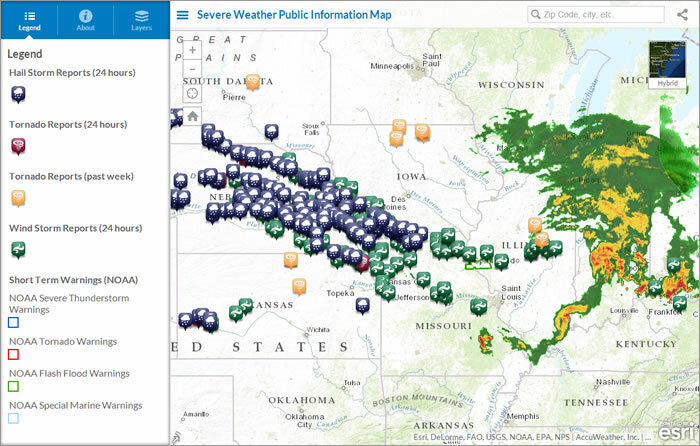 Esri's Disaster Response Program uses this template to map wildfires, hurricanes, severe weather conditions, flooding, and earthquakes. 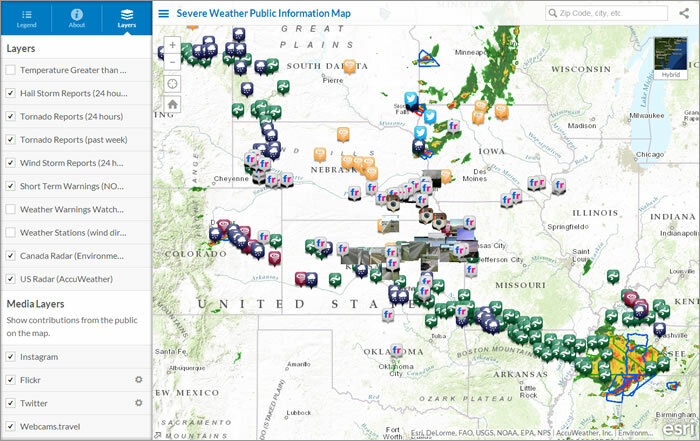 For example, here's a map that shows current weather warnings, integrating real-time feeds. 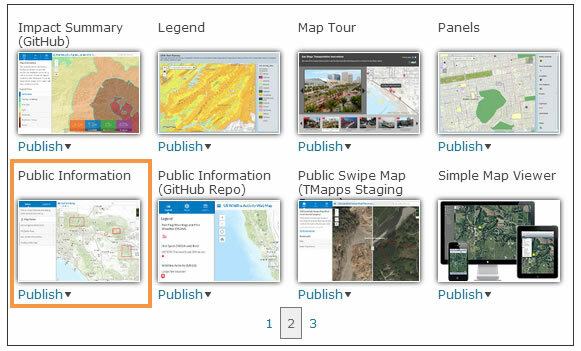 Here's how to create your own application using the Public Information template. 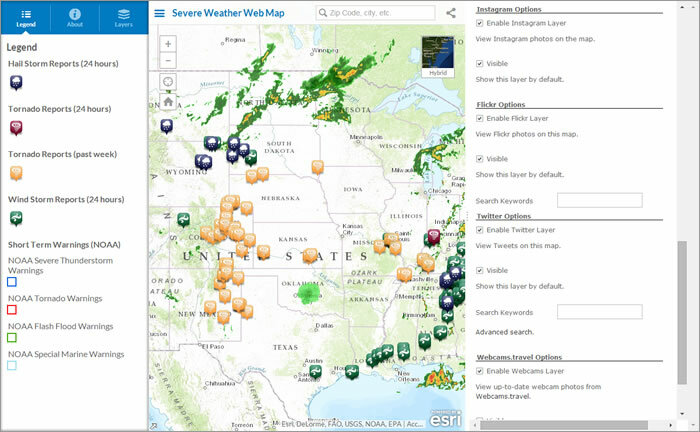 This template gives you the ability to combine your map with media, whether it's about a disaster or displaying real-time Instagram and Twitter posts for a half marathon. Let your imagination run wild!